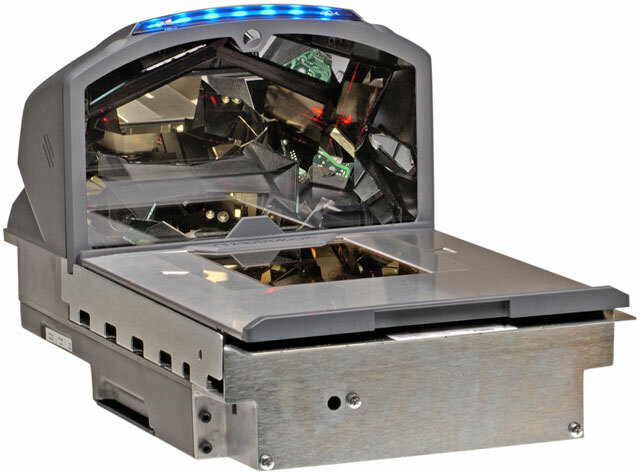 The Honeywell MS2320 StratosH is a high performance 6-sided, bioptic scanner-scale for seated and space constrained checkout environments. The MS2320 StratosH features a patented modular design that provides ease of setup and maintenance ensuring minimum downtime and maximum customer service. The MS2320 StratosH comes with StratosSPHERE decoding software, StratosSCOPE visual diagnostic indicator and StratosSCHOOL operator training software, providing a complete solution for POS applications. Full size scanner-scale USB kit. Includes dual USB cables, remote display, power supply, & diamonex glass. SCANNER ONLY, FS, USB US. Non-Cancelable/Non-Returnable. Full size scanner-scale RS-232 kit. Includes RS-232 cable, remote display, power supply, & diamonex glass. PoweredUSB Kit. IBM PoweredUSB interface, full size scanner-scale kit. 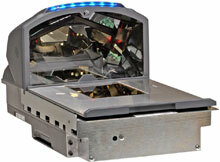 Includes USB cable, remote display, power supply, & diamonex glass. Call to purchase. Full size scanner-scale USB kit with no display. Includes USB cable, power supply, & diamonex glass. Full size scanner-scale RS-232 kit. Includes RS-232 cable, power supply, & diamonex glass. PoweredUSB Kit. IBM PoweredUSB interface, full size scanner-scale kit. Includes PoweredUSB cable, power supply, & diamonex glass. Call to purchase. Full size scanner-scale USB kit. Includes USB cable, power supply, & diamonex glass.